Before we got to Morocco, I was a bit nervous. The first hitchhike in a new country is always more stressful as everything is unknown; you need to break the ice. It didn’t take long to get over that fear. With an average waiting time of less than 5 minutes, often ranging between 5 and 30 seconds, Morocco is, by far, the best country I’ve hitchhiked in so far. Not only do people stop, but they will stop anywhere. I mean, anywhere. Goodbye Europe, Hello Africa: Changing continent without plane. As our Schengen visa was coming to an end, not taking the plane brought an extra challenge to our next steps. Yet, as it was winter, one solution clearly stood out: Africa. 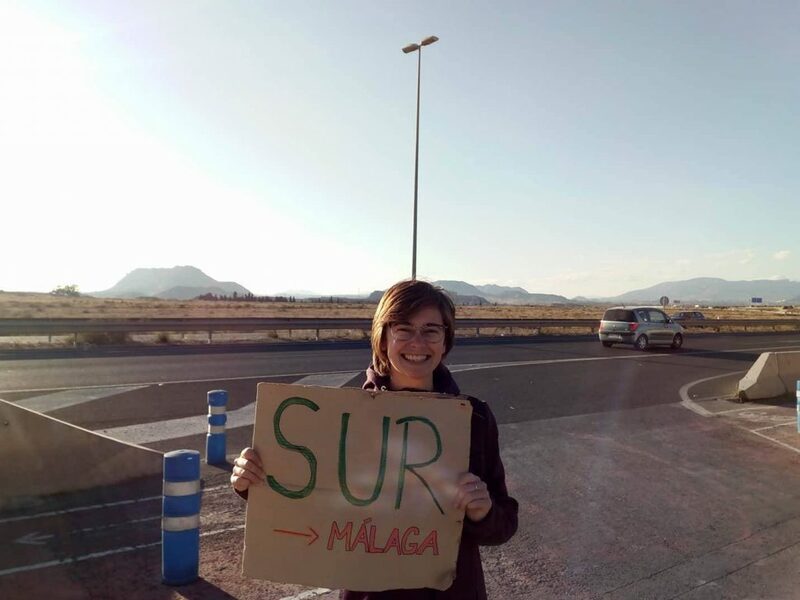 After hitchhiking across France and Spain, we were finally ready to cross to Morocco! Well, almost. All about hitchhiking: The how, the whys, the beauty and the hard part. How did we start hitchhiking? We were volunteering at Agape Eco-Farm, in the small village of Ljesevici Village, near Tivat, in Montenegro. Beautiful place, but very remote when you don’t have a car, which was no problem, until came our days off -woohoo! But how to get out of this hole? (The camp wasn’t open yet).Then, Pasha, the mind who started the project, looked at us and said, very simply: ‘’Hitchhike!’’. In all honesty, I just stared at him with complete surprise, unsure if he was serious or not- which shows how familiar I was with the concept then. I mean, I had heard of hitchhiking, but me? Doing it, just like this? Don’t you need a lot of mental preparation for this, a handbook of some sort or a friend to show you how?